Law, Justice and Parliamentary Affairs Minister Anisul Huq on Sunday said the government has initiated the process to bring back fugitive Tarique Rahman. 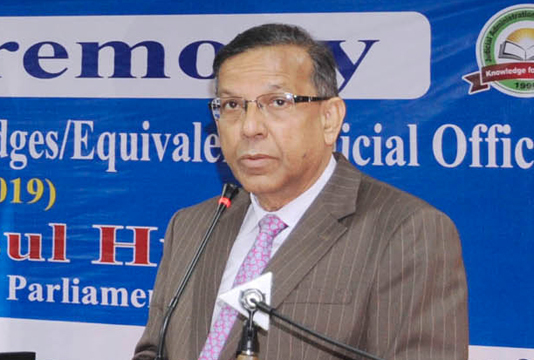 Anisul Huq said these while talking to newsmen after addressing the 38th foundation course for Assistant Judges at Judicial Administration Training Institute (JATI) in the capital. The minister said the role of the judges is most important in establishing rule of law in the country. “The contribution of quality judiciary for rule of law, financial development, strengthening democracy and poverty eradication is undeniable. So, the government is providing all kinds of cooperation to judiciary so that it can present people a quality service,” Anisul added.